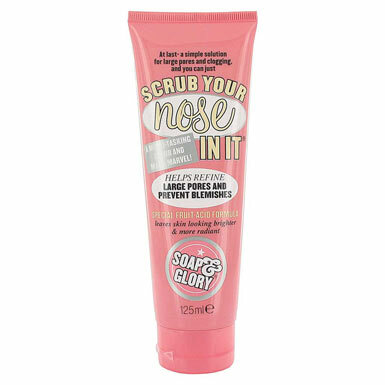 My top beauty basic of 2011 is a face scrub from Soap and Glory, a brand I am a huge fan of. But anyway, beauty basic of 2011 for me has to be Scrub Your Nose in it from Soap and Glory. With an honourable mention going to No7 Eye Make Up Remover…. This scrub looks fab! Is the smell like any other Soap and Glory product? I have used St Ives scrub for years so might give this a try now. I’m not too keen on this one, but I think it’s just because I don’t really like the S&G smell. I am a fan of the Soap&Glory smell, I find it is a bit like Miss Dior Cherie… now I am sure I do not need another scrub, but surely a tube of this one can find its way to my Boots shopping basket! I haven’t used any Soap and Glory products before and I think this is now my chance to try one. I do not know if I am the only one but I find the brand “Scrub Your Nose in It” really funny. I wonder what the name entails. Let’s just leave it to its effectiveness.